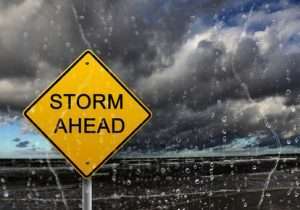 Home and business owners know what is possible during a dangerous storm. Major property damage can happen that might cause families to be out of a home and businesses out of work. There is professional storm damage repair specialists that offer emergency board-up and tarping services to help protect your property, but sometimes home and business owners do not get the opportunity to take those preventative steps. When that happens, serious structural damage can happen and owners are going to need the help of qualified storm damage cleanup companies to help them get their properties back. Southeast Restoration is a certified and insured restoration company that can help you prevent and cleanup from major storms including tornadoes, hurricanes, windstorms, and hail. Like Southeast Restoration, many companies offer emergency board-up and tarping services that will help stabilize and protect your property from window, hail, and debris. Handling this type of work on your own is possible, but not recommended. Professionals have the proper equipment to quickly and efficiently put protective measures into place before the climax of the storm hits. They are trained and experienced in recognizing dangerous storm signs and can work within a team to get the job done quickly. Installing hurricane shutters or boarding up windows with plywood to protect windows from high winds. Cleaning out all gutters and drains so that water does not build up and create flooding. Check your landscaping for a slope. If the ground slopes toward your property, water will pool up and can cause basement flooding, structural damage to walls, and more. Secure any outdoor items. Not only will this keep your items from being swept away, but it will keep objects from being hurled toward your property or someone else’s. Trim your trees. Remove dead branches before they have a chance to fall and cause damage to your home or business. Fallen tree limbs are a big source of structural damage to homes after a storm and easy to prevent. Get your roof inspected. If your roof is missing shingles or has any leaky spots, a major storm could turn that problem into a major disaster. Routine roof inspections will help decrease the risk of damage to your home from even minor thunderstorms. If you are getting into the season of winter storms, make sure all of your pipes are insulated and have them inspected for cracks or holes. During very cold months, frozen pipes often burst and break and can cause significant water damage and flooding to homes and businesses. If your property is facing a major storm or has encountered damage due to a storm, call the professional storm damage restoration team that can help you prepare or clean up fast! Southeast Restoration is your top rated storm damage repair team and will be happy to help you 24 hours a day, 7 days a week.